Converged Infrastructure (CI), Hyperconverged Infrastructure (HCI) along with Cluster or Cloud In Box (CIB) are popular trend topics that have gained both industry and customer adoption. As part of data infrastructures, CI, CIB and HCI enable simplified deployment of resources (servers, storage, I/O networking, hardware, software) across different environments. 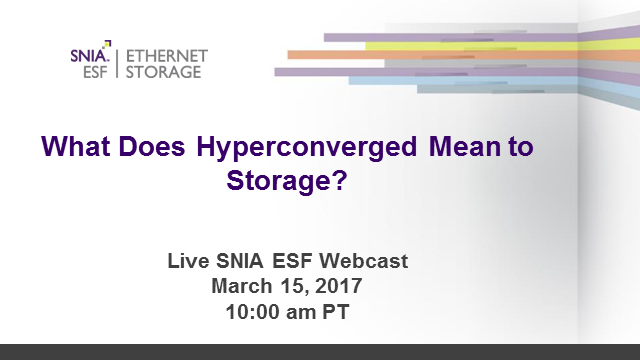 However, what do these approaches mean for a hyperconverged storage environment? What are the key concerns and considerations related specifically to storage? Most importantly, how do you know that you’re asking the right questions in order to get to the right answers?